Khartoum, Feb. 20 (SUNA)-Assistant of President of the Republic, Engineer Ibrahim Mahmoud Hamid discussed with Ambassador of the Inter-Governmental Authority for Development (IGAD) to Sudan, Lisan Yohans arrangements of visit of the Chairman of the AUHIP, Thabo Mbeki to Sudan in the first week of the coming March during which he would hold meetings within framework of meetings the AUHIP would hold with the Government, opposition, international partners and those concern with peace process in Sudan. 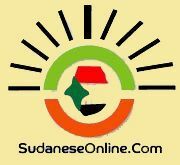 Yohans welcomed acceptance of the Government of Sudan to US initiative on humanitarian assistance to war-affected people in the Two Areas, calling the People Movement to urgently accept to the initiative in order to put an end to suffering of people in South Kordufan and Blue Nile. الدكتور/ محمد عمر بن العربي الجلاصي عندما تحزن بحور الشعر!!!! بالصورة ..انبهلت .. في حضرة الاسد النتر ...عيال زايد الطمبرو وعرضو ..
ح. شعبية قطاع الشمال تطالب بإبقاء العقوبات!!!! هل هذا ترامب الرئيس الامريكي !!! فماذا هو فاعل بنا ان كان بهذا العنف وعدم الرحمة !!! فضيحة السواد واللواد. ي جاليـــة الرياض .وداد اللمين دى منو ؟!(صور)! !